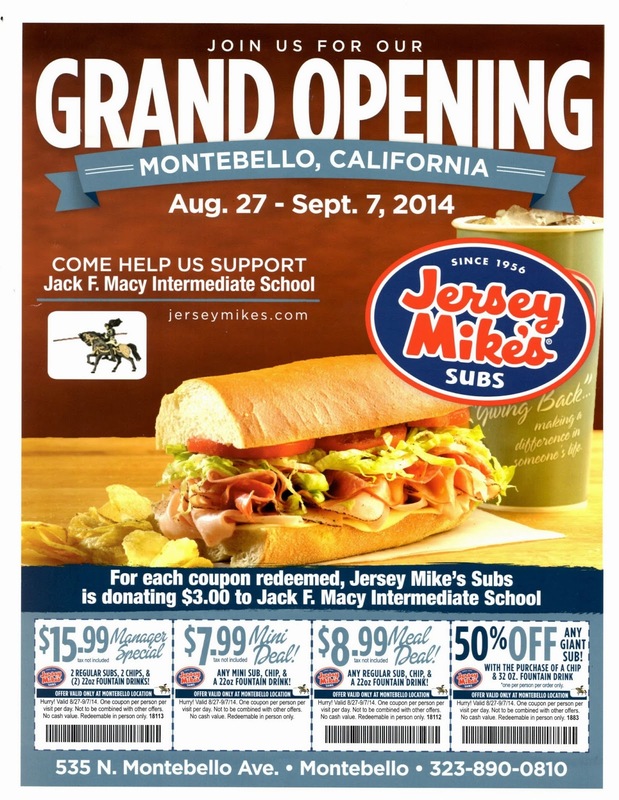 Montebello Mom: Jersey Mike's Subs: Now Open in Montebello: Fundraiser!!! 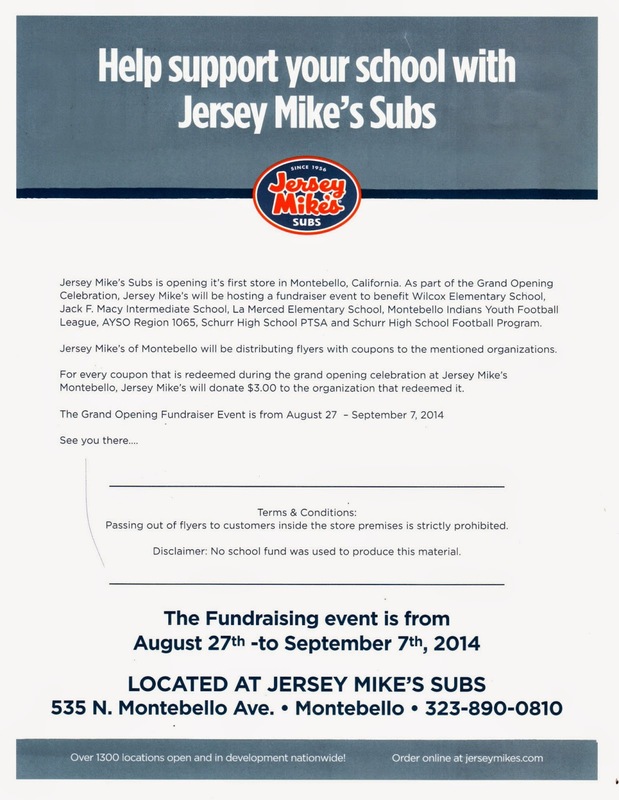 Jersey Mike's Subs: Now Open in Montebello: Fundraiser!!! Jersey Mike's Subs Restaurant just opened in Montebello! Located at 535 N. Montebello Blvd., next to Rio's Pizza at Montebello Mart, Jersey Mike's is sponsoring a Grand Opening fundraiser for local schools & organizations! Wilcox Elementary, Macy Intermediate, La Merced Elementary, Montebello Indians Football, AYSO 1065, Schurr High School PTA, & Schurr High School Football are participating. Bring in a flyer, use the coupon, & the school or organization will receive $3!